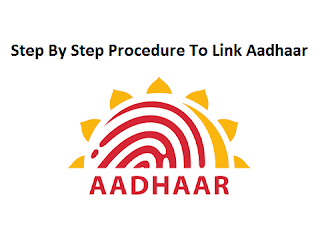 This blog will cover information on how to link Aadhaar card with Bank Account, PAN Card, Mobile, Voter ID, Ration Card and LPG Connection Card. Aadhaar Card is an initiative by Government of India, which consists of a Unique Identification Number and demographic details. This card is issued to all the Indian citizens as a proof of residence but not as proof of citizenship. Step 2: Now fill all the mandatory fields related to your Aadhaar details then verify the same and click on submit. Step 3: Once you’re a confirmation from your bank, you will be notified via email or to the registered mobile number. Step 4: If you want to link the Aadhaar card to Bank Account offline, then you will need an Aadhaar and Bank linking form. Step 5: The form will be available at your bank or you can download it. Step 1: To link Aadhaar Card with LPG Connection Card, download the subsidy form at http://petroleum.nic.in or the respective websites of HP Gas, Indane or Bharat Gas. Step 2: Now fill in all the mandatory details and submit it to your closest LPG distributor, along with an application. Step 3: Another option is simply to dial to the Call Centre at 18000-2333-555 and then follow the instructions. Step 1: To Link Aadhaar Card with Ration Card you should visit the Aadhaar seeding website. Step 2: Proceed by clicking on ‘Start Now’ and enter all the mandatory details. Step 3: Once this is completed successfully, you will now receive an OTP number to phone. Step 4: Once you enter this number, your application will be processed and then you will receive a notification. Step 5: If you want to link the Aadhaar card to Ration Card offline, you need photocopies of your ration card and Aadhaar copies of your family members. Step 6: Now you will also need a passport photograph of the head of the family. Other than these will also need a photocopy of bank passbook if your bank account is not linked to Aadhaar. Step 7: After completing all the above steps submit the documents to the ration office. Once everything is done smoothly you will be notified by SMS or email from the relevant department. Department of Telecom (DoT), since Mar 2017, has made KYC (Know Your Customer) as mandatory for the people who obtain new mobile phone connections. Not only for the new customers the DOT has ordered Telecom companies to get the linking done for their existing customer base. As it is made mandate now the Telecom companies have sent text messages to their customers, asking them to visit the nearest store to link and verify their Aadhaar card with their mobile number. Note: Every customer should remember that the mobile number must be added to your Aadhaar card to enable OTP transactions. If you want to link the Aadhaar card to Mobile number offline try visiting an Aadhaar Centre, where you should carry the filled form then biometrics will be recorded and verified as well. In case if you have linked your number earlier, and need to update a new number then it can be done online. However, make sure that the linked number is available before updating the new number. In order to update your new number, visit the UIDAI website and click on Aadhaar update tab. Once you have entered the mandatory details, an OTP will be sent to your existing mobile number. After entering the OTP, you will have to update your new number and submit it.